Woodall realized her full potential in the necessity of creative expression during her university studies. While attending Florida State University as an honors student in American Studies, Woodall left the United States in 1984 for Europe where she lived and studied in; London, Paris, Rome, Florence and Venice. Her studies of Renaissance Fine Art, Architecture and the Italian language had a tremendous impact on her life and professional career as a sculptor. "I did not suspect I was an sculptor until I saw the Rodin exhibit in Paris. It was electric!" 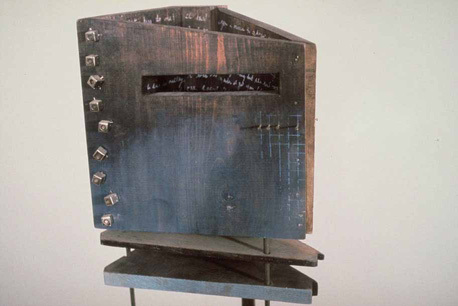 Upon returning to the U.S. and beginning the exploration of her own creative process; the professors of the Visual Arts College encouraged her to pursue the Fine Arts. 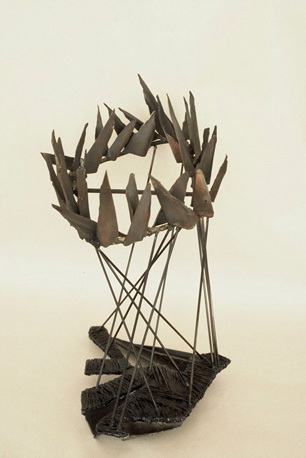 Woodall found her talent in creating sculpture using various methods of metal fabrication and mixed media. She pursued foundry work in "Lost Wax", welding and alternative mold making processes including; iron, aluminum and bronze casting of all types. "These diverse processes are enjoyable to the artist for different reasons. Working with wax is immediately tactile and mixed media is liberating. The machinery and tools needed for steel fabrication creates a loss of direct control of the piece, which is also of benefit". 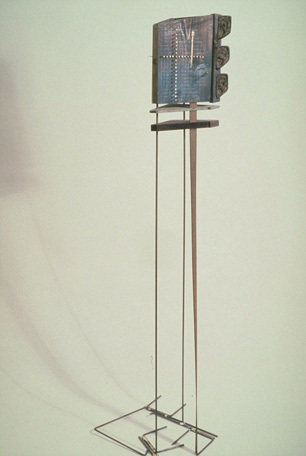 Woodall lists her influences as: Claes Oldenberg, Lucas Samaras, and Eva Hesse for their uninhibited use of their materials. 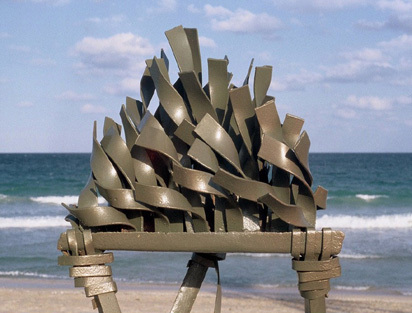 Woodall continues to pursue mixed media as well as metal sculpture because, "They are closely related and interchangeable in the creative process". "If there is not some level of dissatisfaction nothing new will be created"
Woodall's present body of artwork contains large and small scale pieces. Most of the pieces refer to more than one image. This is a conceptual enrichment afforded by the visual abstracting of objects. 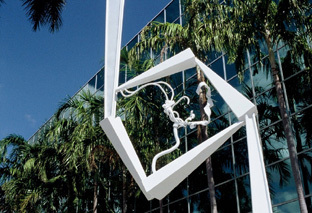 The pieces emphasize the formal quality of sculpture. Her artwork maintains a strong spiritual and physical expression, as in life and individuality. 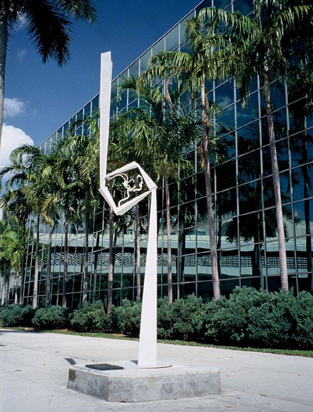 Woodall is currently exhibiting large and small scale sculpture in Florida at; The Downtown Development Authorityâs, "Art-In-The-Downtown", program, Fort Lauderdale, A.N.E.W. 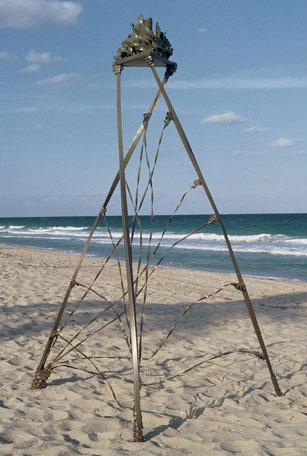 Foundation For The Arts, "Indoor-Outdoor Site Walk", Fort Lauderdale, "Art Around Town", Punta Gorda and Ramnarine Gallery, Long Island City, New York. Teresa Woodall was born in 1963 and grew up in Fort Lauderdale, Florida. She currently resides in Pompano Beach, Florida.